Our chickens are fed certified organic feed and are allowed to roam our acres. 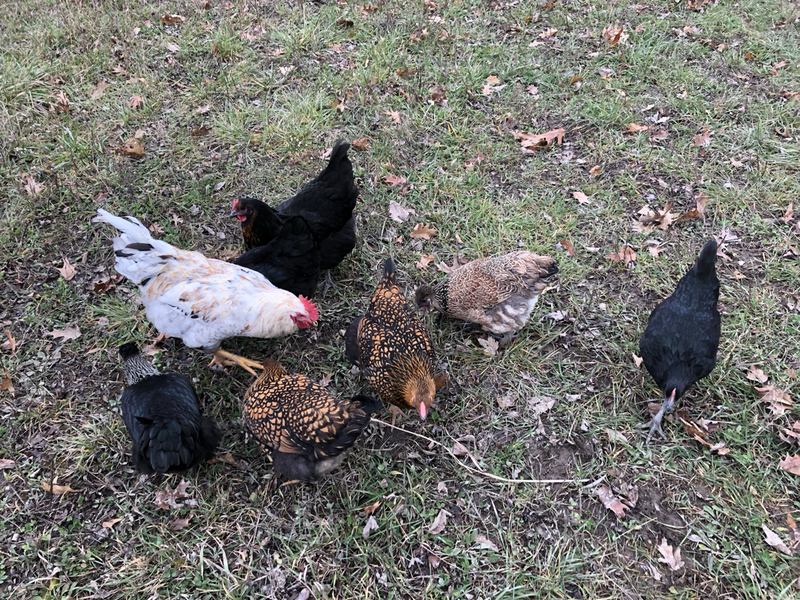 We have two golden laced Wyandottes and several mixes. 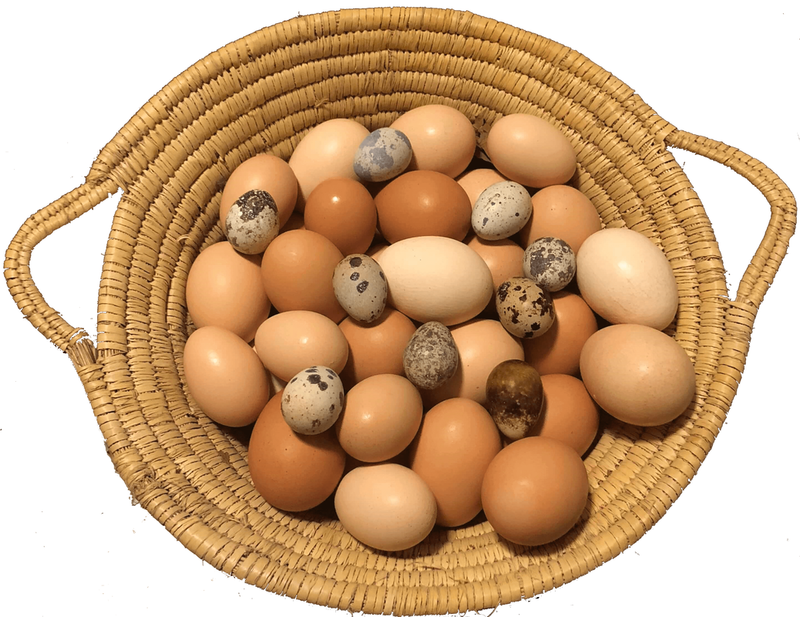 We personally love mixes because we always get a wide variety of colours. 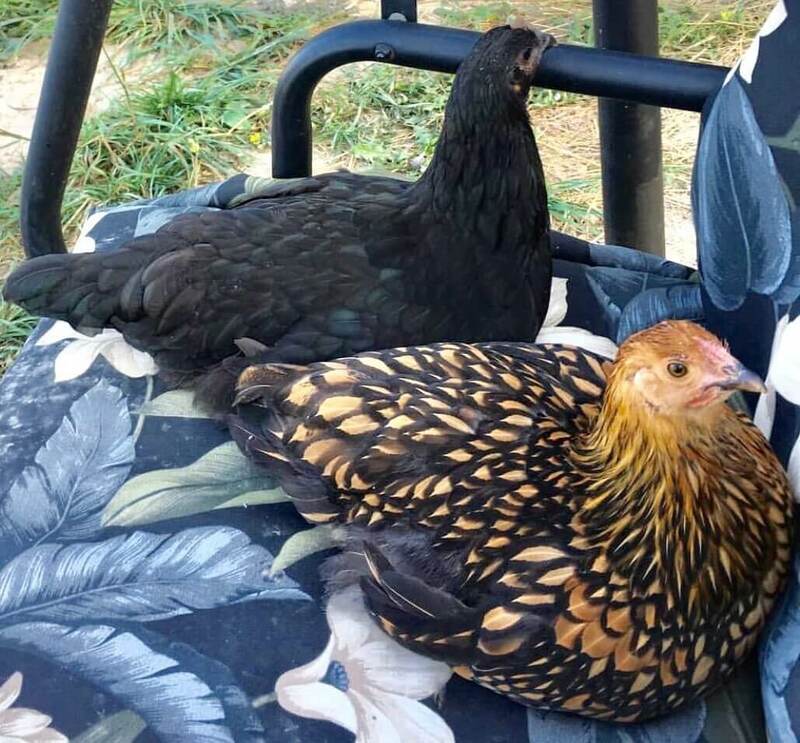 We have two half Silkies, including one who has perfect hearts on her hackle (neck) feathers! 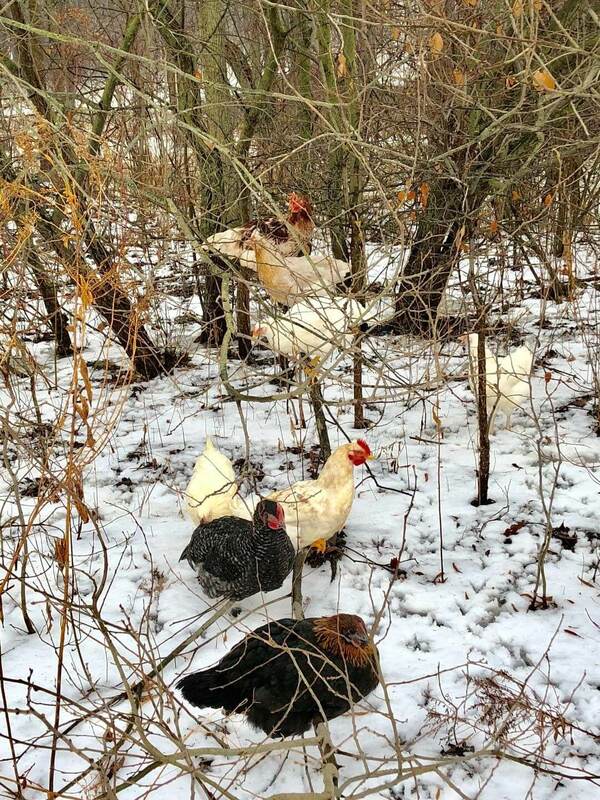 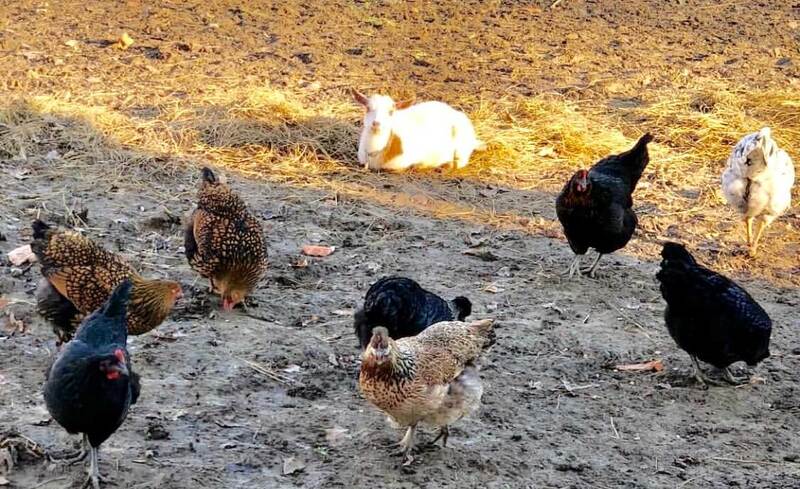 Our chickens are given access to our pasture year-round, and can forage for food or perch in the forest. During the summer, they are mostly grass-fed, but always have access to certified organic feed. 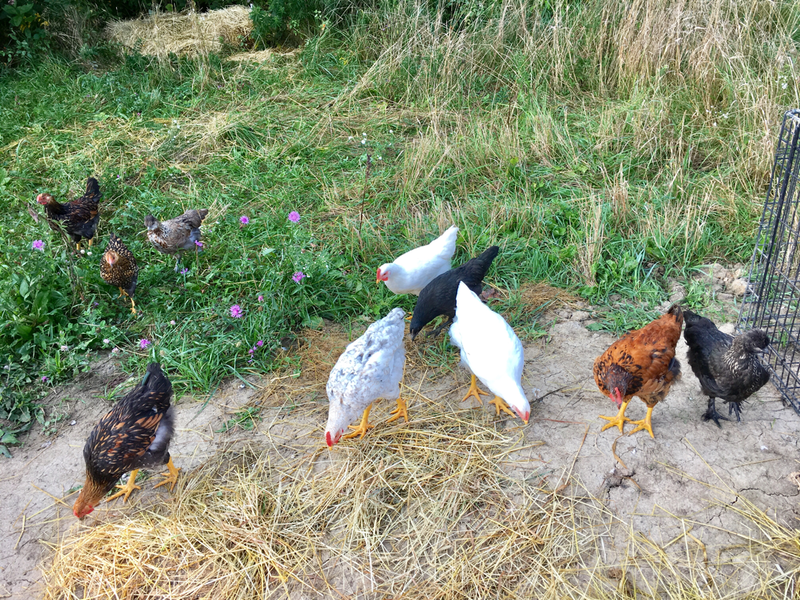 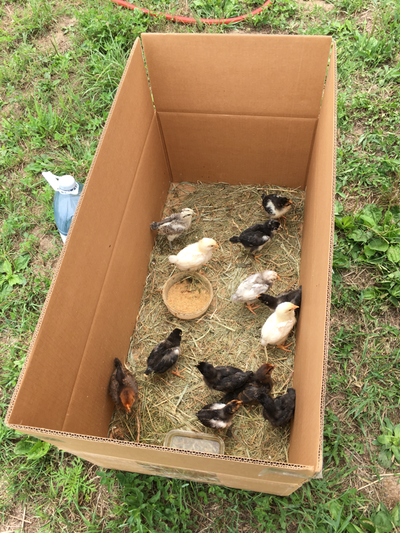 We decided to raise chickens because it is very difficult to find eggs that are both organic and pastured. We used to buy organic eggs at the grocery store until we learned that even in organic egg production, beak cutting is authorized and outside time is often only on a small patch of dry lot. 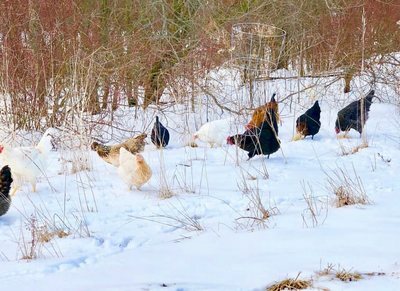 Unfortunately, "free-range" or "free-run" in commercial production does not mean happy chickens in a field. It simply means that they are not in cages and may have a small access to the outdoors, but they can still be in very tight spaces. 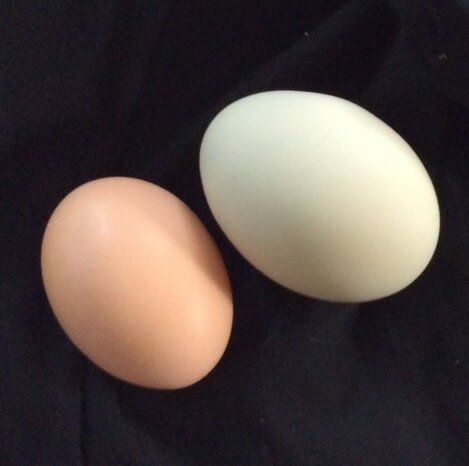 Since we are not comfortable with this, we started our own flock of happy hens. By eating these eggs, you are supporting the environment, animal welfare, your health and the health of your loved ones!